Los Angeles, CA (November 6, 2014) – Freestyle Releasing and Freestyle Digital Media (FDM) announced today that they have acquired all theatrical and VOD rights to the romantic comedy LEADING LADY, a U.K. / South Africa co-production from writer/director Henk Pretorius and Dark Matter Studios, starring Katie McGrath (“Merlin,” “Dracula,” and the much anticipated JURASSIC WORLD executive produced by Steven Spielberg and Amblin Entertainment), Bok van Blerk, and Gil Bellows (THE SHAWSHANK REDEMPTION and “Ally McBeal”). The film was produced by Llewelynn Greeff and Pretorius. 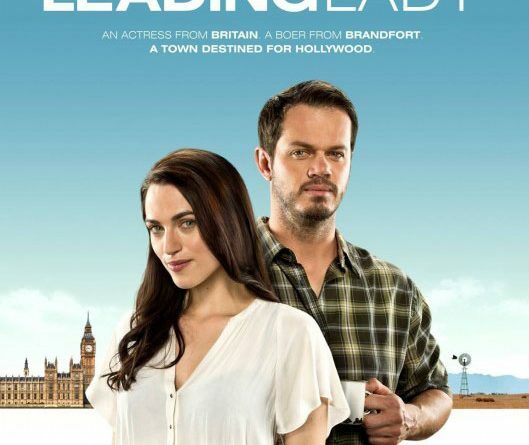 LEADING LADY, best described as a NOTTING HILL for the new millennium, stars McGrath as a beautiful, idealistic British ingénue who journeys to Africa to prepare for the film role of her career. She finds herself embraced by a quirky community in a small South African town where an unlikely romance develops between her and a cynical farmer (van Blerk) who teaches her there’s more to life, and love, than lights…camera…action. The deal was negotiated by Chris Charalambous, Head of Acquisitions for Freestyle Digital Media and by Jon Bonnell, President of Summer Hill Films. Recent Freestyle titles include the box office hit GOD’S NOT DEAD, LEFT BEHIND starring Nicolas Cage, TIGER EYES, the first big screen adaptation of a Judy Blume novel starring Willa Holland, the SXSW festival favorite FUNERAL KINGS from the McManus Brothers and THE IDENTICAL starring Ashley Judd and Ray Liotta. Freestyle Releasing is a full-service, theatrical motion picture distribution company that specializes in representing independent companies, major studios, and mini-major studios for the purpose of exhibiting their films in a first class theatrical release. The founders and principals of Freestyle Releasing, Mark Borde and Susan Jackson, are highly regarded and experienced motion picture veterans with a combined total of over a century of respected work in the industry. From a platform that delivers an anytime-anywhere capability in the medium of their choice and a positive digital viewing experience on any device in any location. Summer Hill Films is a U.S. theatrical distributor and worldwide sales company with international and domestic appeal. The company was founded by Jon Bonnell and Monique R. Nayard who worked together previously at Moving Pictures Film and TV, which became ICAP Media. The label provides a full range of services relating to the sales, marketing, licensing and distribution of mainstream feature films, television and special interest content across all media in the worldwide market.